Crews from several area fire departments responded to the J.F. 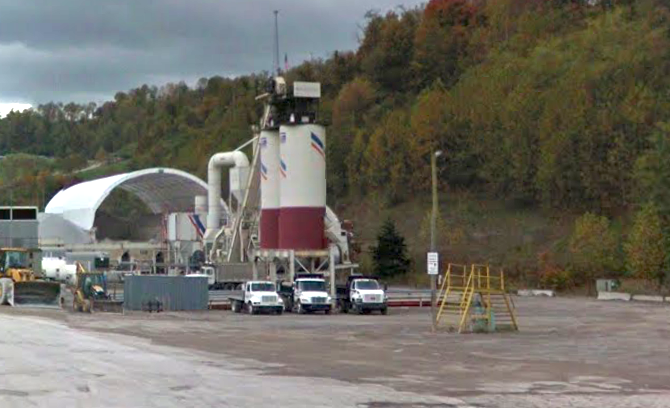 Allen Company asphalt plant in Bridgeport, WV last Tuesday morning after a dust explosion and fire occurred at the facility, fire officials and coverage by local news organizations said. Reports offered varying details on the blast. Television news station WDTV said the explosion was caused by overheating in the facility’s baghouse. Another account by WVNews.com stated that the blast occurred in lines used for mixing asphalt. The Nutter Fort Volunteer Fire Department and an article by Connect-Bridgeport.com said the explosion was in a storage silo. Firefighters responded to the J.F. Allen plant on Saltwell Road after receiving a report of a fire at about 11:34 a.m. In all, four area fire departments were called to the scene. By 1:30 p.m. the scene was cleared. Officials said the explosion and fire would likely halt or slow operations at the plant for a period of time. No injuries were reported during the incident.